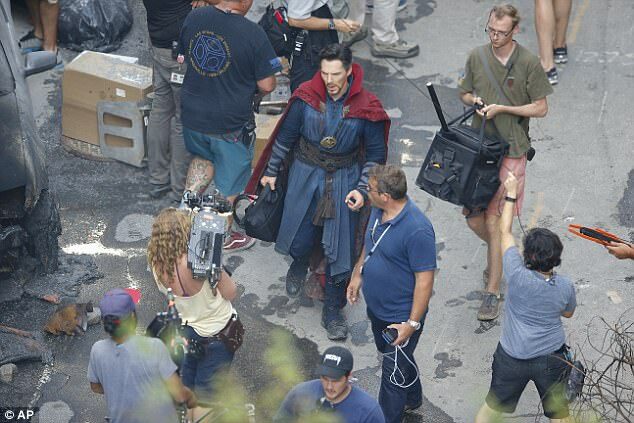 Benedict Cumberbatch’s tenancy of 221B Baker Street may well be coming to an end, but his future in the Marvel Cinematic Universe is exceptionally bright. 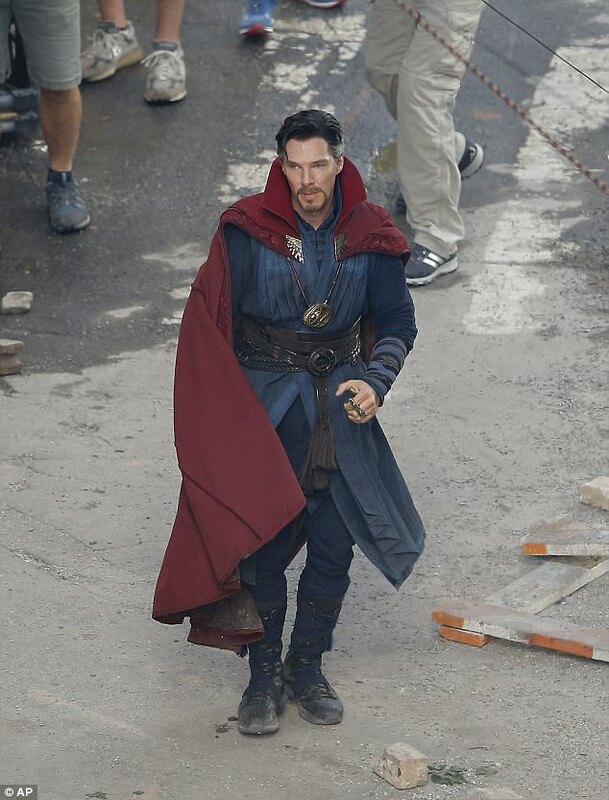 Following his debut via Scott Derrickson’s mind-bending standalone pic, Cumberbatch is poised to reprise the role of Doctor Strange in Avengers: Infinity War, Joe and Anthony Russo’s landmark event movie that is all set to become the biggest entry into the MCU to date. In fact, if the Russo Brothers are to believed, Infinity War will be unlike anything we’ve seen before in Hollywood’s bustling superhero space. 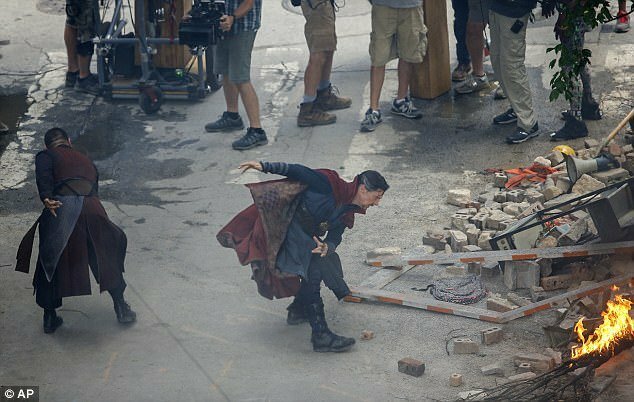 Whether Avengers: Infinity War can deliver on such lofty ambitions will be told in time, but while we wait patiently for the movie to showcase its wares – chances are the first teaser trailer will drop alongside Thor: Ragnarok in November – another round of set photos have surfaced from the film’s production in Atlanta. 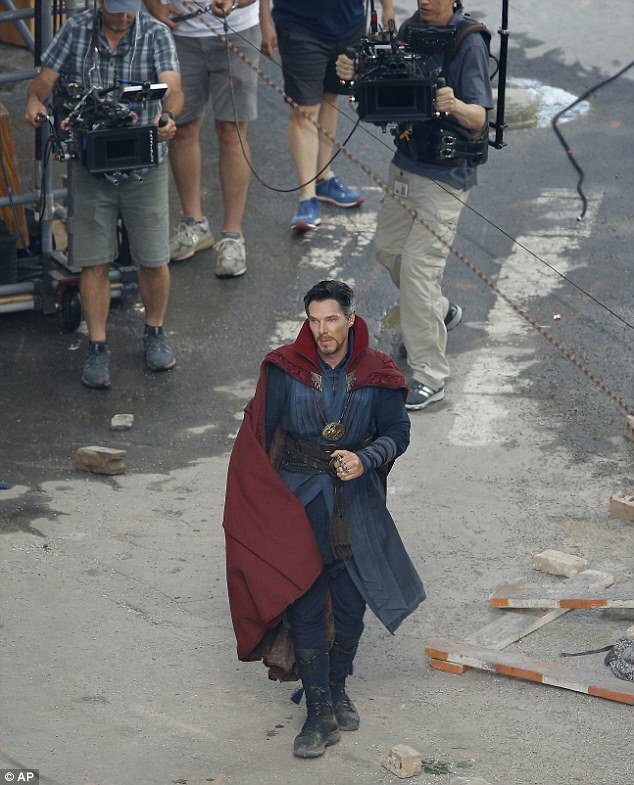 As relayed to us by Daily Mail, the photos place a particular emphasis on Cumberbatch’s Sorcerer Supreme as he prepares to be strapped into a harness (for some aerial stunt, perhaps? 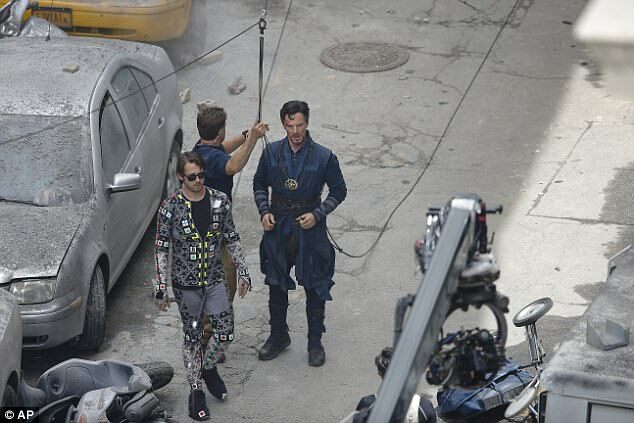 ), while there’s also a terrific action shot of him suited and booted as Marvel’s Doctor Strange. 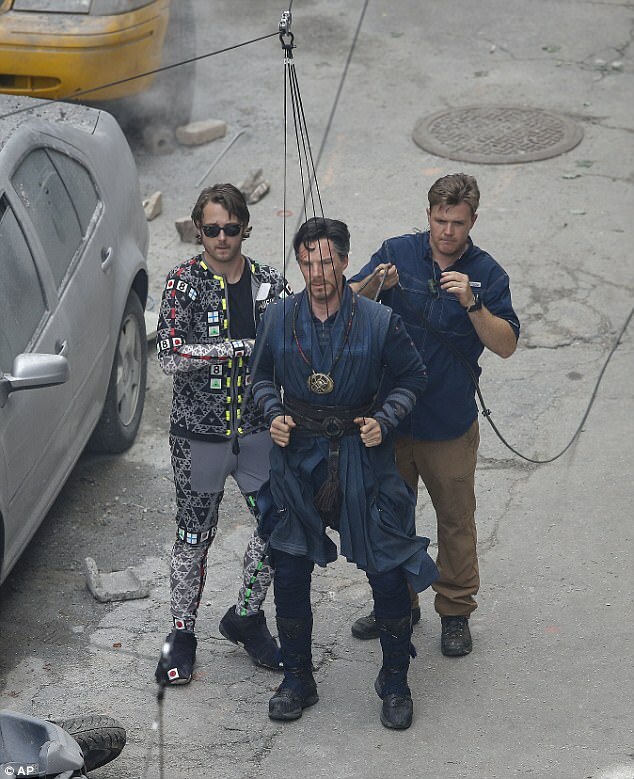 Last we reported, Cumberbatch was joined on set by Robert Downey Jr. (Tony Stark/Iron Man), Benedict Wong (Wong), and Mark Ruffalo (Hulk/Bruce Banner), so it’s likely this particular action scene involves all four of those heroes battling against some as-yet-mysterious foe. That is assuming there won’t be some friendly fire between Earth’s Mightiest Heroes. 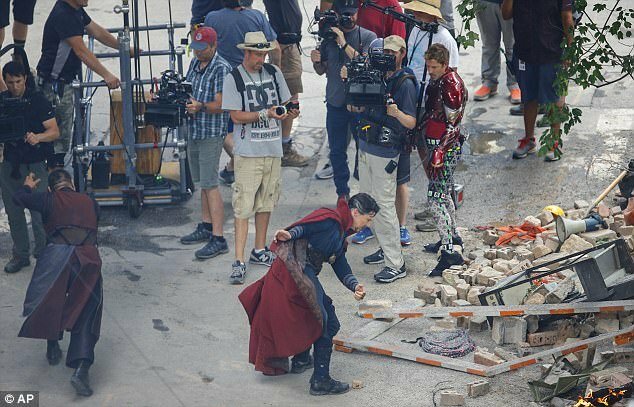 After all, Ruffalo’s Hulk hasn’t been seen since the tail-end of Age of Ultron, which means that, with the exception of November’s Thor: Ragnarok, this will be Banner’s first appearance in the MCU and, by effect, Earth for quite some time. And we all know how difficult he can be to wrangle under control once that rage monster is unleashed.